When you go to the doctor or hospital, you should expect that any medical problems you are experiencing will be promptly and properly diagnosed and treated. Unfortunately, some patients leave the hospital with more issues than they had when they came in. If you experience additional injuries, medical issues, or other losses because of errors on the part of doctors or other health professionals, you have to right to recover for those losses. But because of the seriousness of these cases, if your situation occurs locally it is extremely important to seek legal assistance from an experienced Long Beach medical malpractice lawyer who can help you receive the compensation you deserve for your injuries. If you are in need of legal advice, Jamal Injury Law P.C. is here for you. What Constitutes Medical Malpractice in Long Beach? 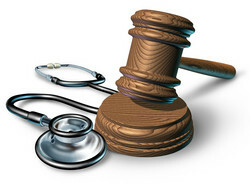 California law holds doctors and healthcare professionals to a specific standard of care. When a doctor breaches that standard of care and causes injury, they may be held liable for malpractice. Some of these errors can cause serious and even fatal complications like permanent disability. In addition, when life-threatening complications occur, medical bills can pile up quickly. In order to ensure that you recover damages and can pay for the medical care you require, it’s often in your best interest to work with a medical malpractice attorney in Long Beach. Every state has its own statutes of limitations, or time limits, in which a victim may file legal claims, and it is crucial that victims adhere to them or they risk being unable to file a claim. For medical malpractice claims, California allows victims to file a claim within three years of the date on which the injury occurred, or within one year of the discovery of the doctor’s negligence, whichever happens first. After those time limits expire, any claim for recovery against the responsible health professional will be barred. For this reason, you should never delay in contacting a medical malpractice lawyer at Jamal Injury Law P.C. if you believe you may have a potential case. Determining the correct statute of limitations, as well as the paperwork involved in filing a claim can be complicated, so you should never risk having that time period expire and losing your chance at recovery. No one should have to suffer injury, miss work, or experience personal hardship because a doctor did not do his or her job correctly. If your doctor failed to meet the required standard of care in California, you are likely entitled to substantial compensation for any losses you suffered as a result. However, doctors often have powerful lawyers on their teams, so it is essential that you work with a lawyer who is experienced in medical malpractice lawsuits. A good malpractice lawyer will have extensive understanding all of the applicable state laws and how they may apply to your individual case. At Jamal Injury Law P.C., we work to make sure you recover the maximum amount possible so that you do not have to suffer financially any further. If you believe you have a medical malpractice case, call us today at 714-907-1021 to schedule your free, no-obligation consultation with a medical malpractice attorney serving Long Beach.